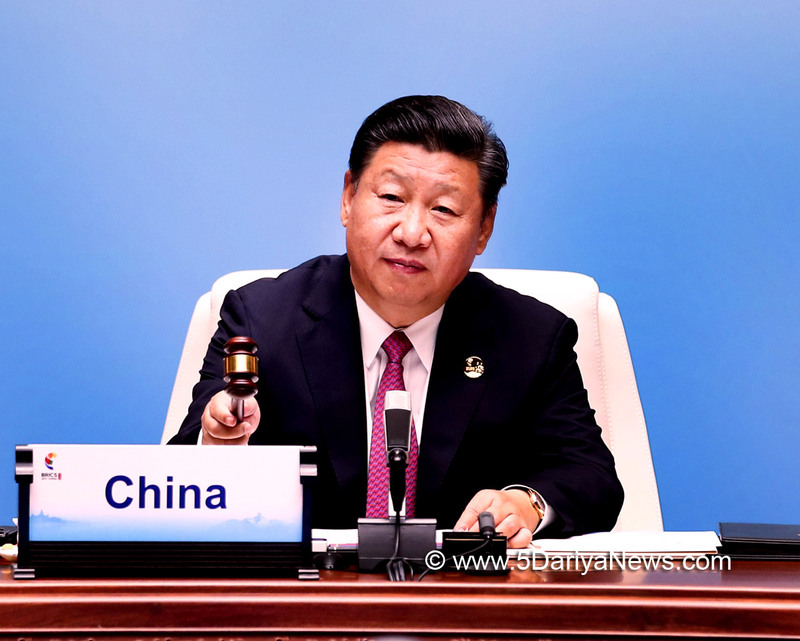 Chinese President Xi Jinping on Tuesday said BRICS leaders have agreed to regularize and institutionalise people-to-people and cultural exchanges.Xi made the remarks to the media after the conclusion of the 9th BRICS summit in the southeastern Chinese city of Xiamen. "BRICS leaders support efforts to regularise and institutionalise people-to-people exchanges and cooperation so as to deepen mutual understandings and friendship among their people and make the idea of partnership more deeply rooted in people's heart," he said.Xi added: "This year has seen flourishing people-to-people exchanges and cooperation among the countries of Brazil, Russia, India, China and South Africa." Various events have been held such as sports meeting, film and cultural festivals and conferences of traditional medicine, reported Xinhua news agency.BRICS countries have actively carried out cooperation among their legislatures, political parties, young people, think tanks and local regions, Xi added.